Join us for this very special workshop with one of the leading casting directors in NYC! 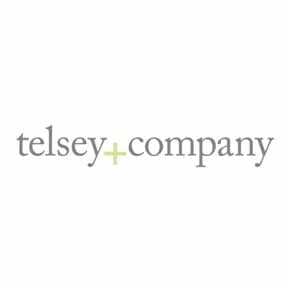 We are thrilled to welcome back PAT GOODWIN (C.S.A) of Telsey + Company Casting. Pat’s projects include: WAITRESS, THE SPONGEBOB MUSICAL, FINDING NEVERLAND, THE RADIO CITY SPECTACULAR, PIPPIN, and THE HONEYMOONERS as well as many projects in development. Mr. Goodwin will personally work with each student on audition technique and song interpretation. This master class will focus on giving actors the opportunity to bring their audition and performance skills to the next level and how to better connect to their audition material! This workshop will inspire each student to work to their fullest potential and enjoy the process of auditioning! Students will also take part in a movement/dance workshop with a Broadway guest teacher CLAY THOMSON (Matilda, Newsies, Wicked). In the final section of the workshop, students and parents will come together for a short Q&A with our guest teachers as well as Broadway Workshop staff. STUDENTS SHOULD HAVE 1 or 2 MUSICAL THEATRE SONGS PREPARED FOR THIS WORKSHOP. We will only focus on one 16/32 bar cut. Each student will need 1 copy of their photo (snapshots are fine) and resumes. Please make sure your sheet music is in the correct key. Students should have jazz shoes or sneakers and clothes they can easily move in for this workshop. Don’t miss this amazing opportunity to work with one of the leading casting directors in NYC!